How very proud we are of our beloved Anuj. His passion for learning was endless, and in his name, this legacy will continue to assist and inspire others to do the same. And on this special day, the loving and selfless nature of our dear Anuj was evident, as his cohort said, he made sure it was a beautiful day for his fellow graduates. 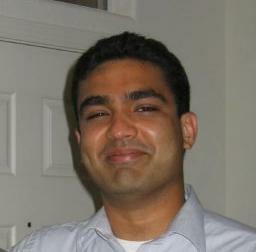 We are heartened to learn Anuj being honored posthumously with a MBA degree. This gives added strength to all of us to bear and keep his memory alive in our hearts. Congratulations on the honor Anuj has been awarded. Recently I recieved my MBA degree from IESE, Barcelona and my mother was there proudly watched me get the degree. As you know Anuj so well, he was always encouraging his friends and family to become better and he was one friend I had who would always see to it that I was trying hard and if I didn't I could see disappointment in him and would want to do well. The very first day I joined class 11B, Anuj had become my friend and we had been friends till we could manage. For me Anuj's achievement were benchmarks and I am always trying to reach what he so easily managed. We miss Anuj a lot and think of him with lots of affection. Thank you for letting us know about the wonderful honor bestowed upon Anuj. His memory continues onward. We rejoice with you. We continue to think of you as you sort out the loss of both your son and husband, my good friend, Mohan. Those are two tough things to swallow in such a short time. May God continue to give you strength to cope. This is comforting news. 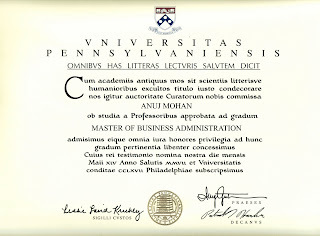 A MBA from Wharton is a very significant accomplishment that makes us all proud and adds to his resume of many achievements. Thanks for sharing the moment with us. This is great news! It really goes to show Anuj's impact at Wharton.